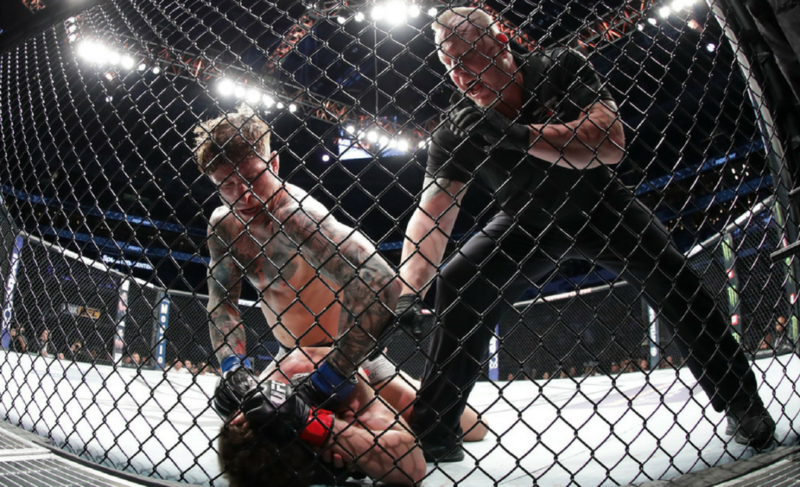 UFC on FOX 27 may have started slowly, but it ended with a bang. Frank Camacho picked up his third “Fight of the Night” award in just as many fights. 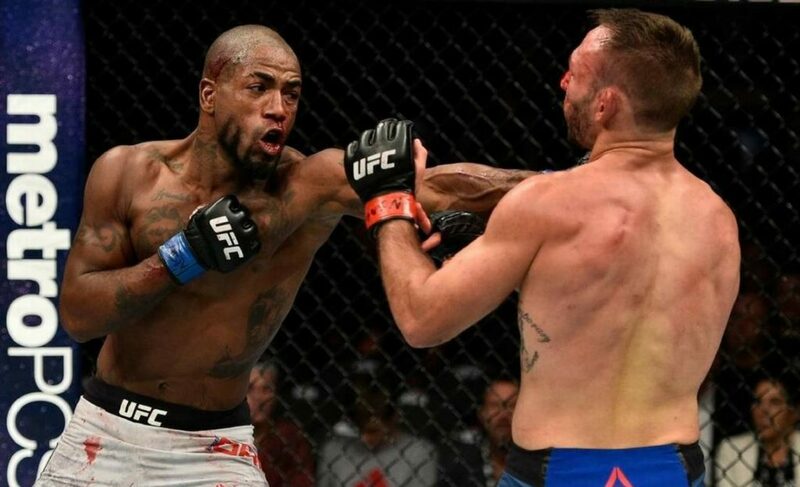 Camacho was awarded “Fight of the Night” for his efforts against Li Jingliang at UFC Fight Night 111 in Singapore in July last year. 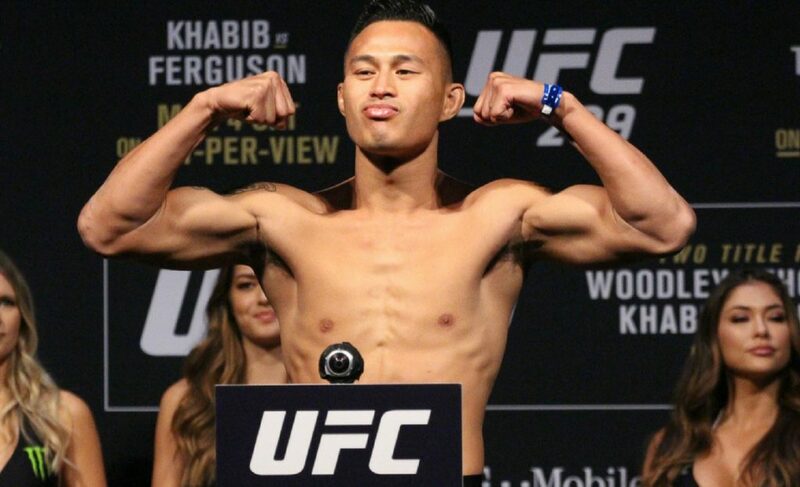 Despite coming in on short notice, he challenged the Chinese fan-favorite before eventually losing a unanimous decision. 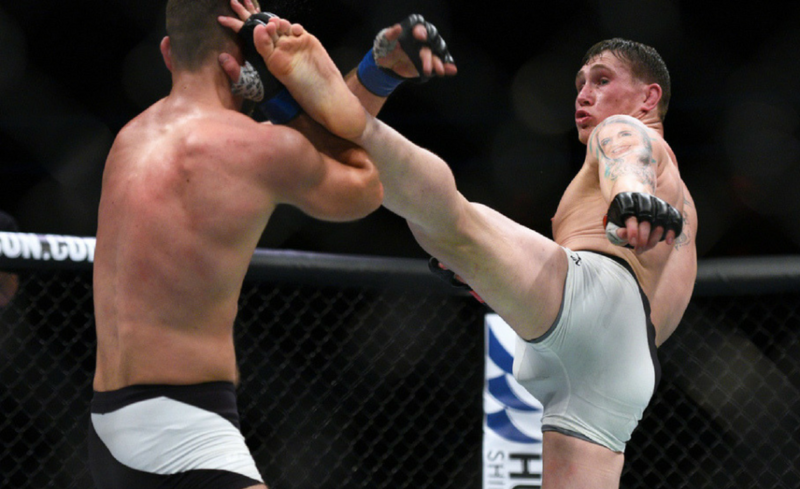 In November, he challenged Damien Brown in Australia at UFC Fight Night 121 and managed a tight split decision victory. Tonight, however, the decision didn’t go his way against Drew Dober. 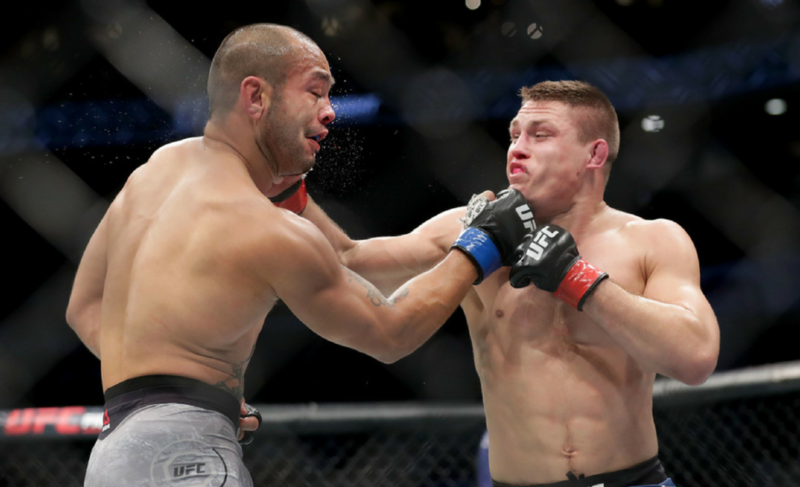 In an entertaining affair, Camacho and Dober went back-and-forth over the course of three rounds. The judges scored the contest 30-27, 29-28, and 29-28 in favor of Dober, despite many fans and media scoring it for Camacho. Despite losing, Camacho might find himself featured on another main card considering his capacity to provide exciting fights for the fans. 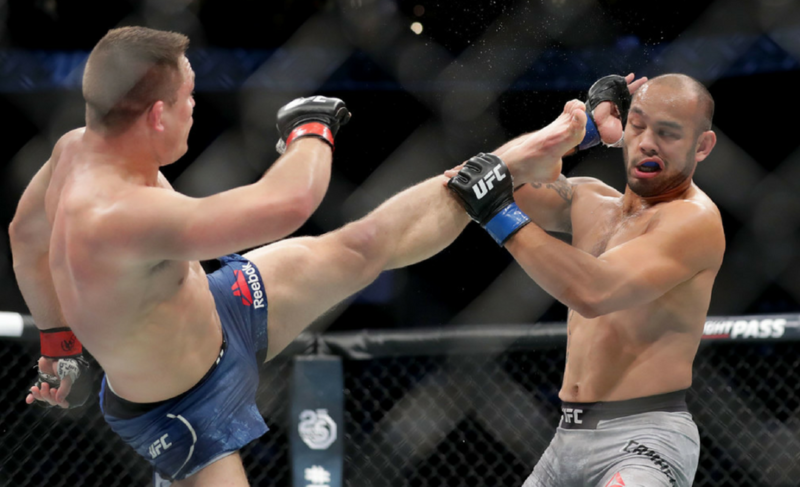 In the main event of UFC on FOX 27, Ronaldo “Jacare” Souza returned and made a spectacular impact. Souza finished Derek Brunson with a killer right high kick that floored Brunson, before finishing up his strike with a series of punches. 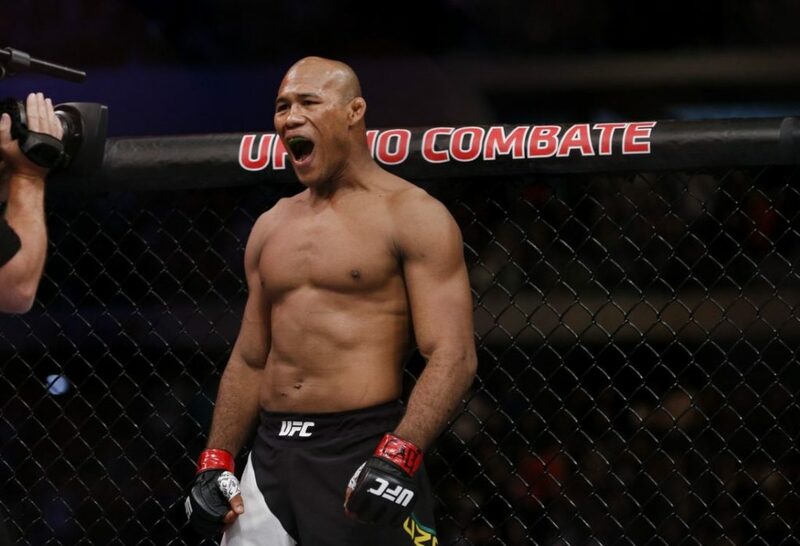 In classic “Jacare” style, he remained completely calm through the duration of the contest despite competing for the first time since he was finished by Robert Whittaker. 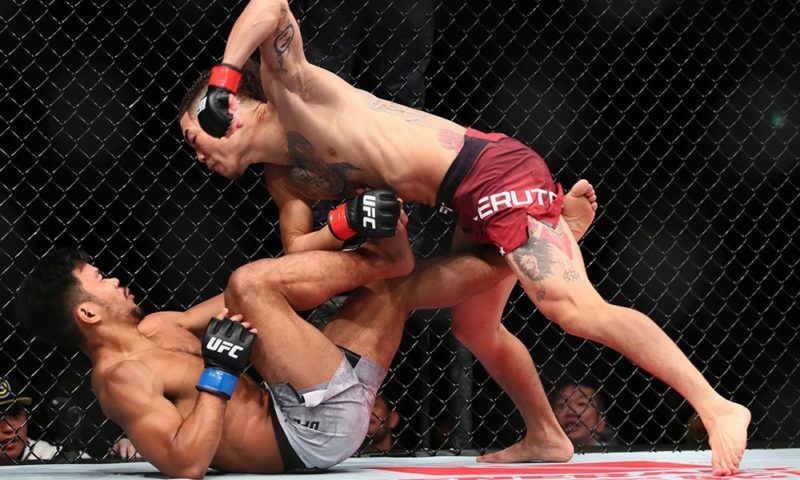 What was most impressive about Souza’s victory, however, was that he finished the fight without the need for his fantastic Brazilian Jiu-Jitsu skills, similar to the way he finished Brunson the first time the two met. 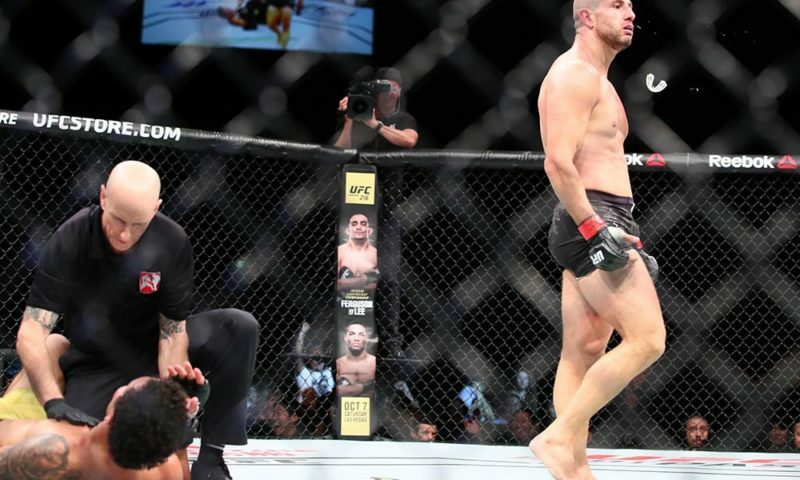 In the prelims, Mirsad Bektic smashed Godofredo Pepey’s body with a punch to the sternum. 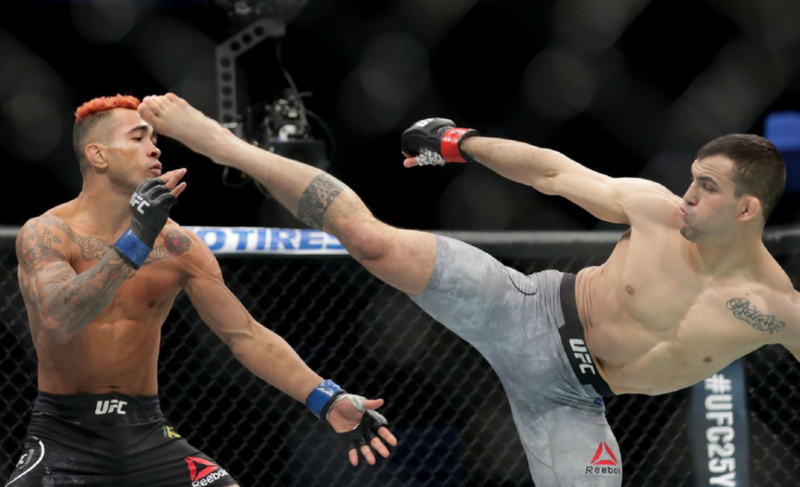 Just one week after Aaron Pico scored an impressive body punch finish of his own, Bektic launched a straight right hand right into the chest of Pepey that folded him up and finished the fight. 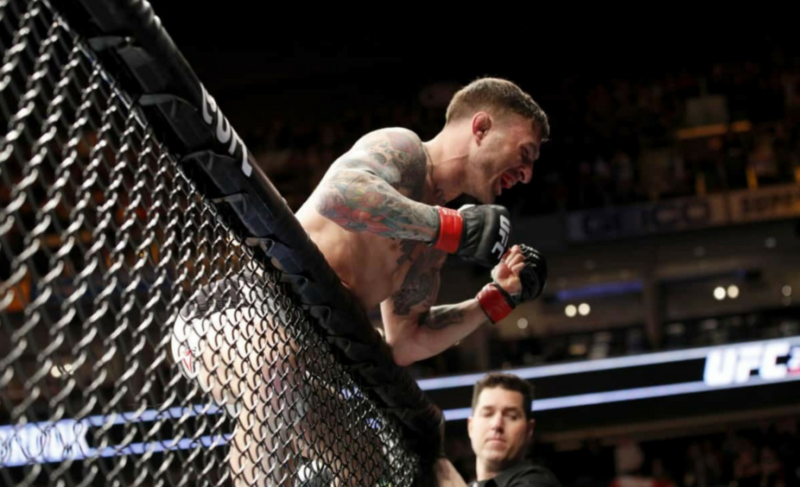 The victory was Bektic’s first since he was shockingly defeated by Darren Elkins at UFC 209.